Buy large afro dread wigs and large rasta wigs at cheap prices from Super Party wigs. If you need a large hippie party wig because you are attending a fancy dress party, then your outfit won't be complete without a party wig. Choose to buy from our extensive range of fancy dress wigs, with styles and lengths to suit all kinds of costumes. 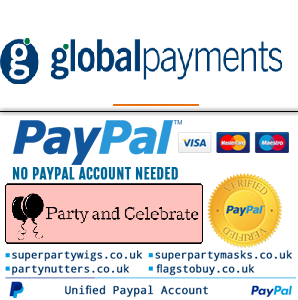 You can buy long dread fancy dress wigs at unbeatable online prices and have them delivered direct to your door next day from our party wigs super store.